River Island relaunches Chelsea Girl. Memories are made of this. Long ago, in a land far, far away, La Chutzpah was indeed a Chelsea Girl. For six years, every Saturday and during holiday periods my heart belonged to Chelsea Girl. Apt as their 1970’s logo was a huge giant heart with a long haired girl who could have been a member of ‘Pan’s People’. How glam. We even had heart shaped seats in the shoe area. God, how I wish I had one now. At the time, my youthful CG student friends and I had no idea we were part of something big…the tail end of a 1970’s era in style and essence, seeing as we saw out the changes at the store from 1980 through to 1986 including the heinous addition of ‘Concept Man’. That was the beginning of the end. The addition of eager blokes in bad haircuts, ties and shiny trousers was too awful to contemplate when we, of course, were ‘it’. And, when the pastel coloured rara skirts and over sized tees arrived in the stock delivery, our indie teenage taste balked. The end was nigh. As a brainy kid in a comprehensive school in Glasgow, the addition to ‘Chelsea Girl’ to my life meant I was the biz. I didn’t appreciate it at the time, of course, as I was a fledgling ‘New Wave’ (NB. 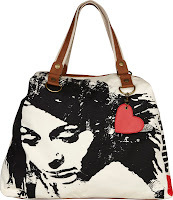 Not New Romantic) and carried a green army satchel with names such as Joy Division, The Cure, Fad Gadget and Gang of Four scrawled across it, in splatty ink. I was obviously bored that Physics double period. Chelsea Girl was my first big step into fashion and fuelled it’s upward rise alongside my first Vogues and Honey magazines. I soon moved on. My designer pieces (bought from Chelsea Girl earnings) included PX, English Eccentrics, Demob, Swanky Modes and No/Yes, thrown together with vintage 1950’s Flip stuff and ex army finds. Even then, I was a designer and vintage harlot and trawled my teenage carcass to my mecca (London) to source my finds. Oh, the memories that just saying ‘Chelsea Girl’ brings back. The glorious point is River Island has had a genius brainwave and re-invented a Chelsea Girl capsule collection which hits stores on March 24th. The range is a 40 piece, vintage-styled collection inspired by the original Chelsea Girl brand which evolved into River Island in 1988. Positioned as a sub-brand to the River Island mainline collection, the new Chelsea Girl starts at a lower price point to attract younger consumers. The range encapsulates the youth and verve of the original brand with a 21st Century leaning and includes affordable mini skirts and shorts, crop t shirts, wide leg trousers and wild print maxi dresses. The acceptable side of Bohemian High Street. The new CG collection was designed by The National College of Art and Design graduate Lucy Moller alongside River Island’s Brand Director, Farida Kaikobad, who worked on the original Chelsea Girl designs in the 1980s. 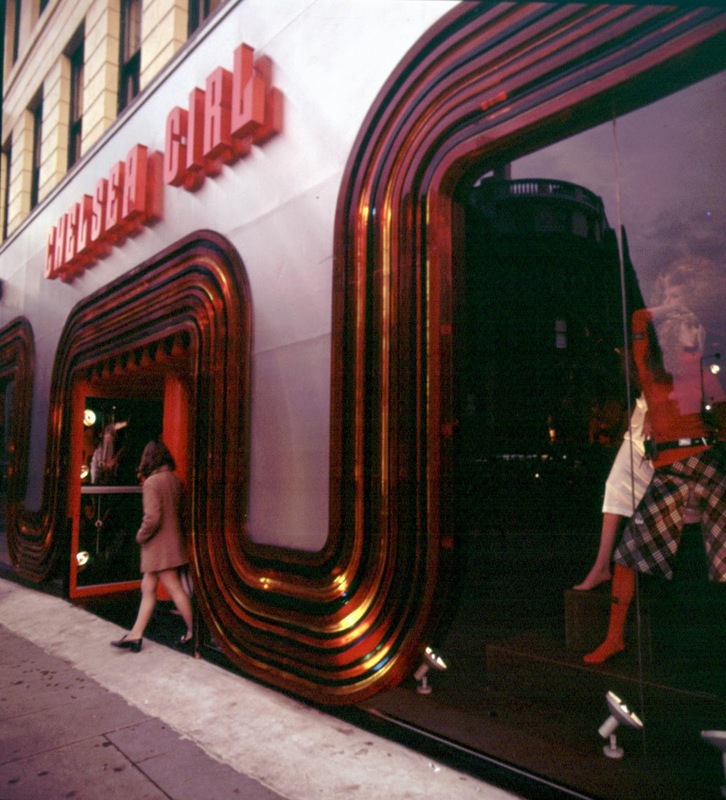 To celebrate the launch, Selfridges is hosting an exclusive Chelsea Girl pop-up shop. That’s how au courant the name is. Far Out! If you’d like to leave a comment with your memories of Chelsea Girl, please fill in the comment box below. Thank You. It’s so nice to hear a personal story, rather than just a reworked press release. You really set the scene for the time and I just wish I’d caught Chelsea Girl the first time round. I hope the River Island CG collection will be more authentic than the House of Fraser Biba revival.